Trans Future 5 was the third carrier vessel that has brought in another set of second hand cars this year. 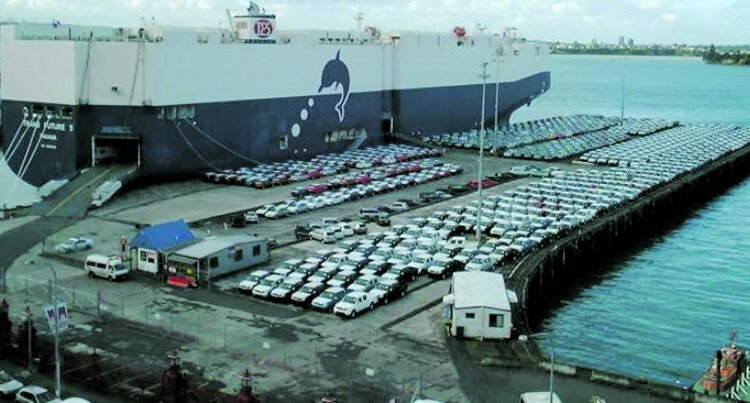 The second hand cars were the fourth load to be discharged at Suva in four months. The other two car carriers that had brought in second hand cars this year were Euro Spirit and Triton Ace. Euro Spirit has been to Fiji twice and has discharged more than 500 second hand vehicles. The Panama owned Ro-ro cargo vessel, Trans Future 5 was built in 2006. It had brought in more than 200 cars last week – taking up the number of second hand cars to have been off loaded this year to close to 1000. The vessel was berthed at Kings Wharf in Suva last Friday and had left for Japan on Monday. According to the international Traffic Movement Trans Future 5 is expected to arrive at Port Uraga in Japan April 20, 2018. Carpenters Shipping Limited general manager Hoshnever Trombaywalla when contacted for the second time this year on Monday said he still could not make any comment regarding the distribution and sale of the second hand cards because it was against the company policy. “I cannot reveal any information as I have to get permission from the principals or the owners of the cargo,” Mr Trombaywalla said. “All information is confiden­tial,” he said. During the recent Parliament sitting, Attorney-General and Minister for Economy Aiyaz Sayed-Khaiyum said there has been a significant increase of ve­hicles in Fiji. Minister Sayed-Khaiyum said more vehicles were expected to be registered this year. “The number of cars on our roads has almost increased quite significantly,” Minister Sayed-Khaiyum said during Parliament. “On average in 2016, 41 vehicles were registered per day. In 1998, six vehicles were regis­tered per day. In 2006, there were 25 registered in a day,,” he had said. Ro-ro cargo vessel Trans Future 5 features the gross tonnage of 41,662, deadweight of 15,119 tonnes and length overall by breadth ex­treme of 186 metres × 28.2m.